Choosing new cabinets is a bit like shopping for clothes. You’re considering what looks best, what is most comfortable. You wonder if the colors are right for you. You think about what you already have in your wardrobe. Will the pieces you’re trying on work with what you have? Are they the style you really want? Will you want them for a long time? And sometimes, you end up buying an outfit that surprises you. It turns out that style suits you better than what’s now in your closet. Cabinet choices can lead to such discoveries. This is why it’s important to partner with a team that has resources and a keen eye for design. Your first choice could be perfect for your space, or it may turn out something else is better. Your ProSource Wholesale® showroom team knows how to get you from A to Z, or somewhere in between. 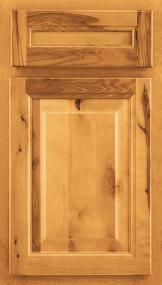 What Is The Best Starting Point For Making Your Cabinetry Decision? To begin, consider where you want to have new cabinets, and how you will use them. The most common area is the kitchen, right? But is that the only space where you need storage? How about the bathroom, media room, office or laundry room? If you have an open floor plan, a seamless look throughout may be your preference. This can be a consideration for resale value. As the aesthetic value of cabinets has risen, so have the choices increased. At first glance, reaching a decision can seem a bit elusive. But, your budget versus basic needs will make the selection process easier. Your ProSource in-house design expert can guide you the rest of the way. When it comes to style, here are some questions to consider. 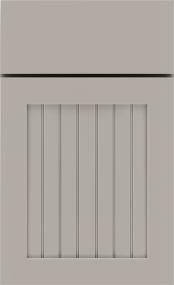 Are you attracted to simple lines, like flat cabinet door surfaces? Or, are you drawn to paneling, insets, or carved detailing? Do you prefer the efficiency and quick turnaround of standard cabinets? Or, are custom cabinets more of a priority? You also have your choice of solid or decorative glass panels as the cabinet door fronts. For a classic or farmhouse/cottage feel, mullion glass doors may suit you, for example. You may also want to include open shelving. Plus, how about crown molding? Then there is the question of color. As you know with wall paint, color can literally transform a room. It can bring calm or electrify. It injects personality. What paint does for your walls, it can do for cabinetry. 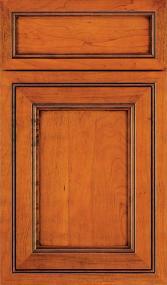 To go bold, a particular paint finish can be applied and baked into the wood surface of the cabinet door. Or, it may be the natural beauty of solid wood is what you want in your home. The materials used in the cabinets you select will depend on style and functionality as much as budget. Solid wood is beautiful, but for a minimalist modern style, a high-gloss laminate may be the perfect match. You have many options, so let us show you what they are and which will best suit you. The cabinets you choose can be as distinctive as your wardrobe. So the question becomes, what style do you want to surround yourself with? Think about your favorite clothes, that go-to outfit that never fails you. This is what you want to achieve with your cabinet selection. It’s the ultimate outfit. The product catalog has cabinet options for any style. Add what you like to your myProSource project center, then discuss it with your ProSource trade professional member. And think of your showroom as your personal stylists. We’ll help you put all the right pieces together to make it happen.